Give them their space! | Live Healthy S.C. Always play it safe and give animals, particularly wild and stray animals, their space. They may be cute, but they’re not pets. Even healthy, wild animals often lash out at people in fear if they are cornered or touched. Bites and scratches can be painful, but they can also transmit diseases, viruses and parasites. One of those viruses is the rabies virus. Both people and animals are susceptible to the rabies virus. The rabies virus is known to be transmitted from mammal to mammal through exposure to saliva or neural tissue. If you are not exposed to saliva or neural tissue from a rabid animal, you cannot contract the virus. Similarly, an animal that is not infected with the rabies virus cannot transmit the virus to another animal or a person. For a list of rabies signs and symptoms, please visit our Signs/Symptoms of Rabies webpage. Once symptoms of rabies are present in an animal, it is impossible to tell by appearance if an animal has rabies or some other condition that causes similar signs of illness, such as distemper or lead poisoning. The only way to determine if the animal has rabies is to have the brain tested in a laboratory. 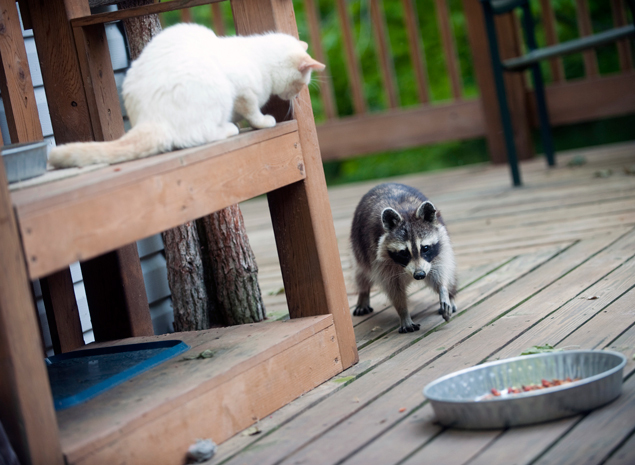 Although wild animals contract rabies most often, domestic pets can contract the disease as well. To reduce the risk of getting rabies, we recommend that people avoid wild animals acting tame and tame animals acting wild. About 275 South Carolinians must undergo preventive treatment for rabies every year, with most exposures coming from bites or scratches by a rabid or suspected rabid animal. If you think you have been exposed to the rabies virus through a bite, scratch or the saliva of a possibly infected animal, immediately wash the affected area with plenty of soap and water. Be sure to get medical attention and report the incident to DHEC. For additional information on rabies, visit http://www.scdhec.gov/rabies or http://www.cdc.gov/rabies. You may also contact your local DHEC BEHS office. This entry was posted in Prevention and tagged Rabies on July 16, 2015 by SC DHEC.